When Peter's boyfriend's dead drag queen lover shows up to reenact The Christmas Carol over the Christmas holiday, the life lessons will be hard, but at least the shoes are going to be absolutely fabulous. Colin and Peter haven't quite made it to happily ever after. Peter's been running for such a long time that his fight or flight response is automatic. He knows Colin wants to be his safe place to fall, but Peter's terrified that eventually he'll do and say the wrong thing to make Colin just like all the other men in his life. 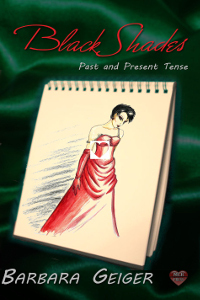 It takes Colin's dead former lover, Ren, a fabulous drag queen, as the ghost of Christmas past, present and future to remind him where he came from, what he's doing right now and who he really wants to be.